This handwriting trick is one that will get the kids excited about practicing their letter size, line awareness, letter formation, and pencil pressure when writing. 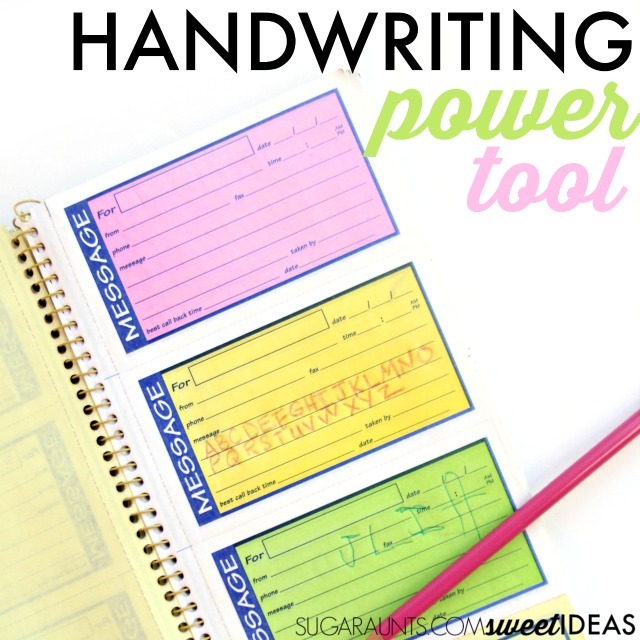 It's a power tool that works on so many aspects or written work, making it a simple way to practice many components of handwriting at once. What is this super handwriting tool? Transfer paper! Follow along in the Sweet Ideas for Handwriting Facebook page, where over 300 readers and Facebook users are coming together to share and find handwriting tricks and tips. There are so many ways you can build the skills needed for legibility in written work with a simple transfer paper notebook or transfer paper sheets. First, what is transfer paper? It is that sheet of paper that creates a copy in memo notebooks. 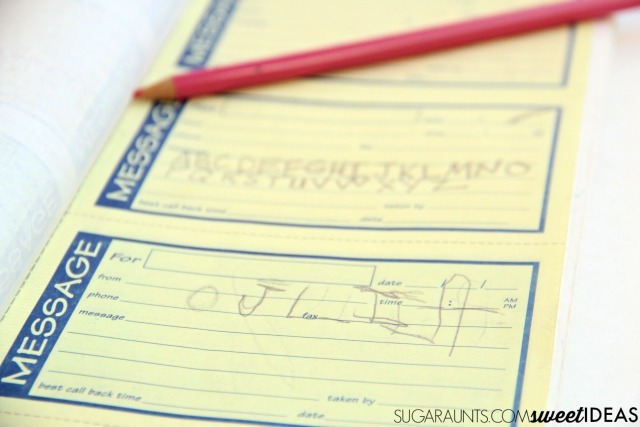 It's a sheet of paper that is used to create an instant copy by simply hand writing on paper. 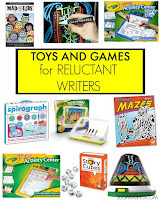 It can be a fun surprise for kids that allow a moment's focus and attention to writing practice that just doesn't happen with regular paper and pencil. 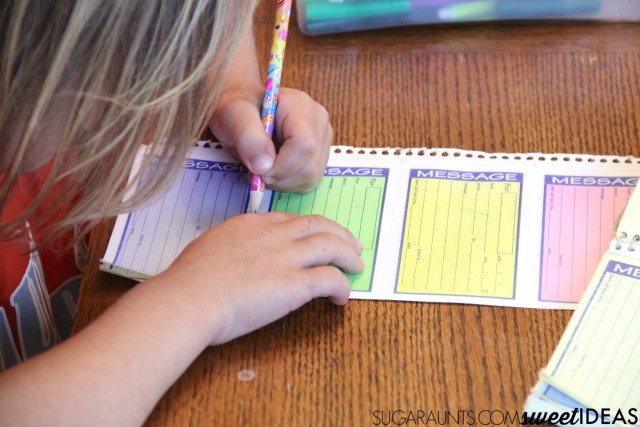 Letter size and Line awareness- This messages book is perfect for helping kids work on letter size and line awareness. 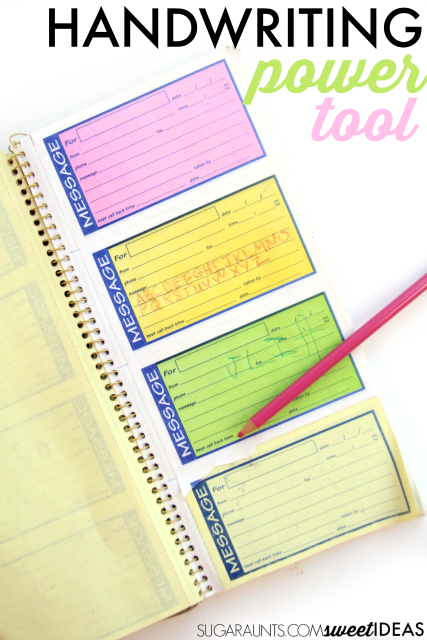 It's a great way to build the skills needed for keeping letters and words within writing spaces on worksheets and forms. 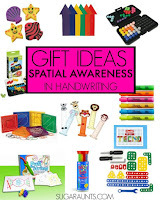 The act of writing on the given spaces with an awareness of how the letters will look on the copy is rewarding for kids. Letter formation- When kids are writing and flipping over the sheet to see how their writing looks, they slow down. A slower speed can help kids work on letter formation. Try verbal prompts for accurate letter formation with this slower speed. Pencil pressure- Transfer paper is a great tool for building an awareness of pencil pressure and writing with a "just right" amount of pressure through the pencil. 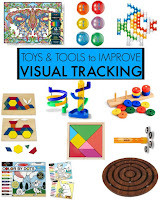 Read more about proprioception and handwriting.